Our longterm love-hate relationship with sweatpants and Uggs stems from a sad but everlasting fact: We prefer to be comfortable than stylish. Yes, it's true. Comfort and ease are key when getting dressed, meaning we like wearing clothes that don't limit our abilities to, say, bend down to tie our shoes or run to catch a bus. But we don't like looking like slobs, either. Hence "fake fancy," the art of looking dressed up when in fact you are super comfortable. After sweatpants, leggings are basically the comfiest bottoms a girl can wear. But they're only acceptable outside the house in certain fabrics. Cue the "leather" leggings (which may or may not be some synthetic material). Wear 'em with a tee and a jacket, and you've got yourself a trendy outfit. Collection Leather-Front Pixie Pant, J. 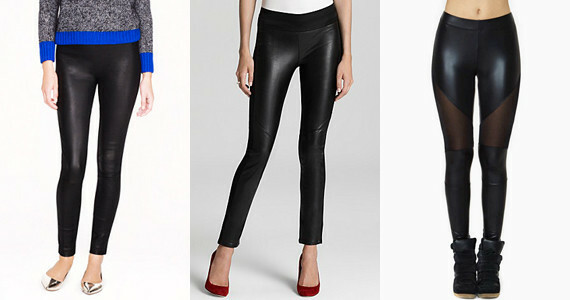 Crew, $398; Paloma Faux Leather Leggings, Paige Denim, $249; Tough Break Leggings, Nasty Gal, $28.80. Pointelle Stitched V-Neck Sweater, LOFT, $44.50; Brewzzer Boot, Steve Madden, $129.95; Velvet Leggings, Zara, $35.90. They elongate the leg and add height, but they are so much easier to walk in than heels. A sweatshirt and jeggings suddenly become acceptable when paired with sky-high wedges. Corbyn Wedges, Jessica Simpson , $110; Dwaenia Wedges, Aldo, $110. Jeans, a t-shirt and sneakers says, "I was just too lazy." Jeans, a t-shirt, sneakers and red lipstick says, "Yep, these sneakers are ironic -- this outfit is more dressed up than you even realize." 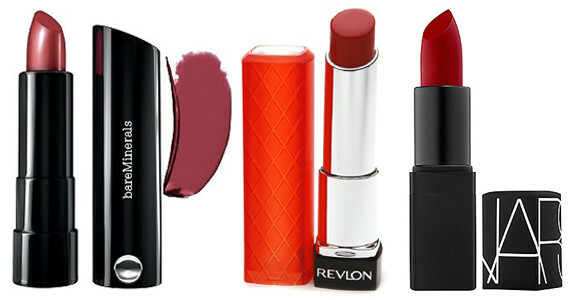 Marvelous Moxie Lipstick, bareMinerals, $18; ColorBurst Lip Butter, Revlon , $7.49; Lipstick, NARS, $26. 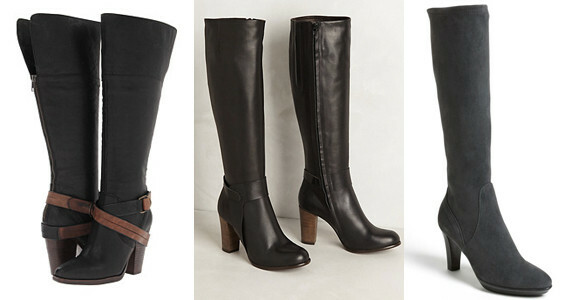 With your ankle securely encased, boots are certainly more comfortable than stilettos. Plus, with boots, you can wear any cozy, garishly-patterned socks you want and no one will be the wiser. Rockiie Boots, Steve Madden, $250; Halifax Boots, Anthropologie, $595; Rhumba Boot, Aquatalia by Marvin K., $698. Whether it's real or "vegan," leather always looks nice. Leather looks like you tried. You can take the style factor of just about any outfit up several notches by tossing over it a leather jacket. Didn't Brando always look pulled-together? 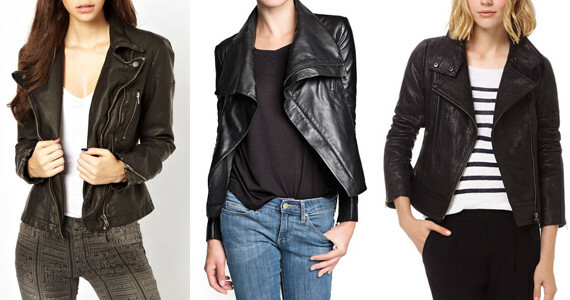 Distressed Biker Jacket in Vegan Leather, Free People, $250.46; Maxi Flap Leather Jacket, Mango, $289.99; Kenya-AP Jacket, Aritzia, $585. Your worn-in V-neck tees won't look so ratty with a blingy necklace on top. 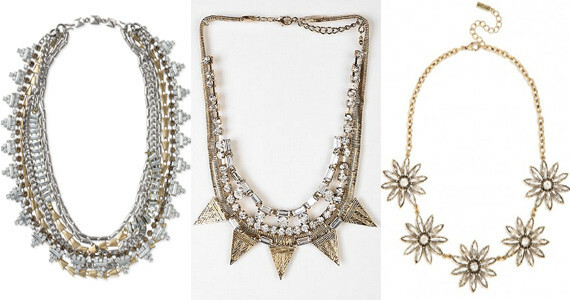 Sutton Necklace, Stella & Dot, $128; Snow Queen Bib Necklace, Urban Outfitters, $32; Crystal Posy Collar, BaubleBar, $44. We realize the name of this garment sounds heinous. But hear us out. How amazing does Victoria Beckham look when she steps out in those floor-grazing, uber flared jeans that make her legs look six feet long? Amazing. Replicate that high-octane denim look in jegging form -- all the drama of a major leg-elongating flare, but with all of the comfort of leggings. 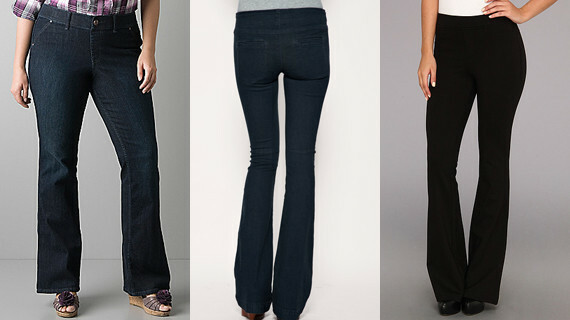 Dark Wash Flared Jegging, Lane Bryant; Stretch Denim Flared Jegging, Free People, $35.81; Michele Flare Legging, Hale Bob, $73.99.